Video is fast becoming the most popular medium for showcasing your company. More and more people want content delivered to them in an engaging whilst entertaining way. Even detailed information for learning is now being dominated by “how to” video tutorials and video reviews are even more popular. 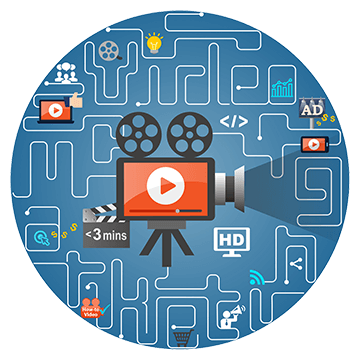 With a vast array of media production skills, 3Digital can not only produce beautiful, fun or informative video content but we then blast that content through many online media channels to gain maximum exposure for your company. 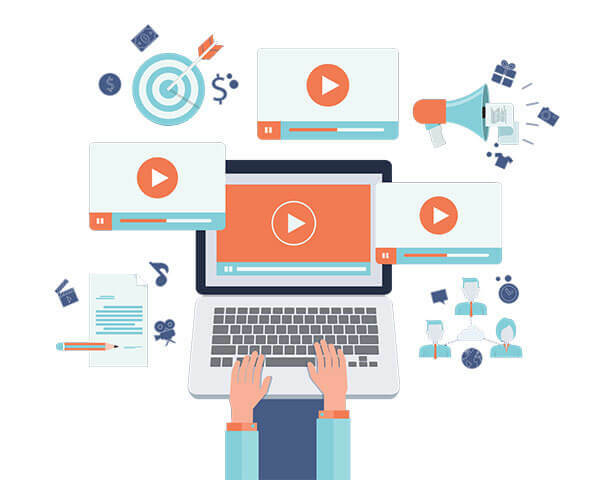 From small targeted local campaigns right through to international video marketing, our videos can reach out to thousands or even millions of customers. One of our recently promoted videos has gained almost 2,000,000 views on YouTube. Now that’s powerful marketing! Video Marketing can strongly engage with your audience and bring in the right customers for you. View our portfolio then click on videos to see some of our recent projects. So where do I promote my content? There are a huge number of places to upload, share and advertise video online and you may sometimes get baffled on how to focus your efforts. Every business is different and 3Digital will find the right channels best for your online presence which will maximise your ROI. You may be looking to promote to the largest audience possible or perhaps to a few bespoke companies or social groups. Either way, all the avenues are open and we know just which ones to take. All different channels have their place but below are some of the big sites that all have pro’s and cons depending on your businesses needs. We filmed a video which attracted 250,000 views in months for a top Dubai restaurant. YouTube is the real monster of online video and the numbers here are staggering! The popular videos usually get into the millions of viewers and if maximum exposure is key then YouTube is the ticket! Instagram has grown massively over the past few years and with over 400 million users it is a great tool for businesses who have artistic and beautiful looking content. It quite simply one of the best Social Media tools around. Facebook can be a fantastic place to promote shorter videos as it can lead to a natural and progressive sharing of your content and even a completely viral video. It is also very cost effective. Twitter is a great tool for news updates but works best once your profile and following is well established. It can then serve to boost your brand and make customers pay attention to your latest products. Video's privacy settings and the ability to make custom url's make it the right choice for certain businesses. Although the numbers are no way near YouTube, sometimes your company image is what counts! Although a new-comer to the scene Snapchat can work great with the younger generation. The numbers are growing fast and like Twitter, if you have an established fan base it can keep them coming back for more! Mobile marketing is definitely not be underestimated. As of 2015 it now takes up greater search numbers than any other device. Snap Chat, Instagram, Facebook and many more are shining examples of how mobile social media platforms have taken the world by storm. Internet marketers know the true power of this and video marketers are no different. 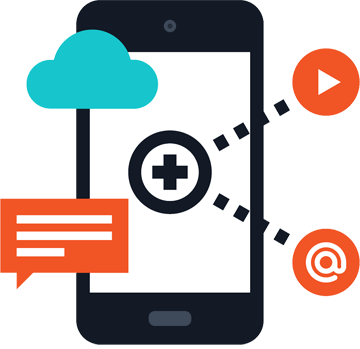 Our understanding of these platforms will help you engage with your audience on their mobile devices at the right time and in the right way. We gained over 4,000,000 views on one video with not a penny spent! If you know yourself, the world will want to know you too. Lets get started on your video project today!